Manwaring Moments: More adventures from Hawaii! Everyone always talks about the cute towel critters you get while on a cruise. It's true, we got towel critters and mints on our bed each night. This little turtle was my favorite. A view of Waimea Canyon in Kauai. It's like the Grand Canyon of Hawaii. Very pretty! We rented this car and it had a permanent hood ornament, a dead frog. We thought it would fall off as we drove, but it was pretty much baked on, so we had to get a picture of it. We laughed every time we'd get into the stupid car. There were chickens EVERYWHERE on this island. And I mean everywhere, Walmart, the bank, the highway, stateparks, the beach. It was like pigeons or seagulls for us. It was crazy. Jarom has wanted to learn how to surf for forever, so he took a surfing lesson while on Kauai. We paid for a group lesson, but Jarom lucked out and was the only one in his group, so he got a private surf lesson. This is the land portion of the lesson. Jarom and Joe, the instructor. They started out on the "bunny hill" (baby waves). After Jarom stood up several times there, Joe took him out to the real stuff. I was trying to get a shot of me with Jarom in the background, but the waves were big enough to completely hide him when he was in the dip. They were about 4-5 feet high. WAY too high for my comfort, but Jarom LOVED it. He really did ride a BIG wave in, but I missed most of it. I looked up and saw a surfer coming in and he looked so natural that I didn't realize it was Jarom in time to get the camera going for the coolest part. The last night of our cruise, we sailed past the Napali coast line along the shores of Kauai. What an amazing sight, the mountains come straight up out of the ocean. Can't go on a cruise without taking a shot of the sun on the ocean. Our final stop was Oahu, where we had about 10 hours before our plane took off. So we rented a car and explored the island. We found the temple and the Polynesian Cultural Center (but didn't feel like we had time to see) and just had a good time cruising around the island. Look how cute this tiny baby pineapple is. It won't be ready to eat until it is 20 months old! Okay, we admit it. We're LOST geeks. We love this stupid show, and spent the better part of the day scouting Lost filming locations. We found the mother load, complete with a guard protecting all the "stuff" at the Lost survivors camp. It's in a fairly remote beach surrounded by private property; we found a website that guided us to it. We were the only people there at the time, so it seems to remain somewhat of a secret. It was so cool to see the set, we just wished the actors would have been there too. 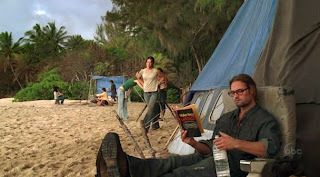 Here's a scence from the actual show with Sawyer sitting in the same chair and next to the tent that the guard is sitting in in the picture above. We found several other filming locations including the beach where the plane wrecked in the first show, but they weren't as cool as this sight with all of their actual stuff. On this same beach we saw SO many Sea Turtles. They were amazing. I can't get enough of these Giant Sea Turtles. They are just such a peaceful animal; I loved watching them. This one was the biggest one we saw and it was BIG. There were many others in the water swimming right along the coastline and several basking in the sun. We ended the entire vacation with dinner at the Hard Rock Cafe, Honolulu. This is somewhat of a tradition for us. Jarom always gets a souvenir hat and pin. This one was full of Elvis memorabilia. That looks like so much fun and BEAUTIFUL!!! I love the frog. That's hilarious. You are so cool for leaving it there. I think I would have done the same. 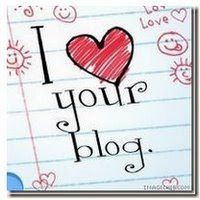 Fantastic Log and pictures. I too love the turtles. Way to go Jarom- surfer-man!!! Hope it was all you imagined Hawaii would be. You look tan! What a trip-we can't wait to one day go! Ally talks all the time about seeing the "Hula" girls. I bet you were so glad to see your sweet kids again! So glad you had a GREAT time-almost like a second honeymoon! Elena looks so thin--(Natalie) Looks like ya'll had a great vacation. I have heard that there are lots and lots of chikens on kuaii, now i have picture proof. My favorite shot though is the dancing pineapple. Does she do parties? The dead frog is a close second. These are such great pictures!! Seriously, I'm thinking a cruise is the way to go next time. The Napali Coast looks so awesome-- I bet it's even cooler in person. HA! I love the frog! I'd have laughed every time too--poor thing! Way to go, Jarom! Quite the surfer-dude! I can't believe how big that turtle is! WOW!! You DO look great Elena! You guys are so cute! I bet it was good to get away and have alone time--doing something other than watching TV, like Lou and I do in our alone time. Awesome pictures. I can't believe you got to go the "Lost" set. LUCKY! Did you get the low-down on the fog monster? YOu two look like little honeymooners. What a great get-away! And the surfing video is still pretty cool, even though we didn't see "the big wave". JK Jarom. ...I'll get back to you after I wipe my mouth and change my undies...next time I see such deliciousness, I'll have to be wearing a big ol' pair of Depends.